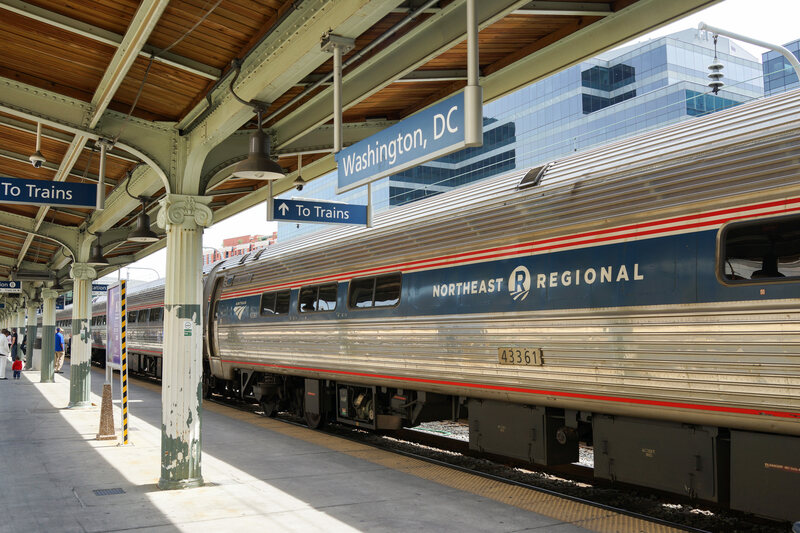 A Northeast Regional Amtrak train at the Union Station, Washington D.C.. Credit: Alan Tan Photography/ Shutterstock. A repair backlog totalling $38 billion needs to be cleared if services on the Northeast Corridor (NEC) are to be maintained, according to commissioner of the Connecticut Department of Transportation James Redeker. Ageing infrastructure – some of which dates back to the nineteenth century – is causing failures and traffic congestion which are costing the economy up to $500 million a year in productivity, he added. To restore the infrastructure to a state-of-good-repair the Northeast Corridor Commission has released a Capital Investment Plan for the fiscal years 2018-2022, prioritising the replacement of key infrastructure if funding becomes available. State governments, commuter railroads and Amtrak – which owns the Boston to Washington DC line – will provide $3.3 billion to fund capital investment for ongoing maintenance but this does not include the $38 billion in the state-of-good-repair backlog of projects, according to the commissioner. Priority projects include the Baltimore and Potomac Tunnel, which was built in 1873, and the Hudson River Tunnel, which was built in 1910. James Redeker said: “The Northeast Corridor region is an economic powerhouse. It generates $3 trillion in annual economic output and is home to more than 51 million people and four of the 10 largest metropolitan areas in the United States. “The Northeast Corridor rail line is the backbone of the region carrying over 820,000 passengers each day. Its infrastructure supports eight commuter rail operators that deliver hundreds of thousands of workers to several of our nation’s largest economic centres. “The Corridor also carries 50 daily freight trains bringing shale oil, coal, gravel, vehicles, and other manufactured goods to and from international ports and manufacturing plants throughout North America. This economic activity relies on ageing infrastructure, much of which dates back to the period between the Civil War and the New Deal. “A $38 billion state-of-good-repair backlog of assets must be replaced simply to sustain today’s rail services. Redeker anticipates that replacement assets will be built alongside existing assets without causing service disruptions. All projects could commence construction in the next five years if funding becomes available.